Share the post "College Officer Elections: Meet the candidates"
College Officers form a key part of the Executive forum of the Students Union in UCD. Along with the Sabbatical officers and the Irish Language Officer, these students represent the highest body on the union. There are 9 constituencies in total; Law, Business, Engineering and Architecture, Arts Humanities & Social Sciences, Science, Health Science, Gaeilge and Agricultural, Food and Veterinary Science. Each constituency will elect one college officer with the exception of the Arts Humanities and Social Sciences where there are 2 seats available. Law is the only constituency which is contested this year. The two candidates are Joseph Boyle and Molly Greenough. Boyle is a 1st year Law with Politics student, from Tipperary. Elected class representative by his peers, he is keen to take up the post to improve the day-to-day life of students. His ideas include working with professors to more evenly schedule assignments/deadlines, providing more study spaces in Sutherland and looking into corporate sponsors to ensure enough law books are available for students. Although the remainder of the candidates are running unopposed, students can still have their say on whether to accept them or not, by voting for them or to Re-Open Nominations (RON). To be elected each nominee must reach a quota determined on the basis of the turnout on the day, which is set at the smallest possible number of votes that nevertheless ensures that only the available seats are filled. In the case of the Business; Gaeilge; Agricultural, Food and Veterinary Science, where there are no nominees, a by-election will be held to fill these vacant positions before the end of the semester, if anyone is nominated. This year these by-elections will be held in tandem with the election for the Sabbatical Entertainments Officer, if the constitutional amendments are passed. Failing that, these positions will be filled from within the membership of the Council as soon as is practicable. Molly Gervin is running, unopposed, for the position of Health Sciences College Officer. She is running for this position determined to shine a light on too often ignored representation problem for Health sciences students. Student problems, and their need for support, don’t go simply away when they’re on placement and Gerwen believes the SU can do more to support these students, starting by facilitating their bringing of issues/ideas to Council despite not being able to physically attend. 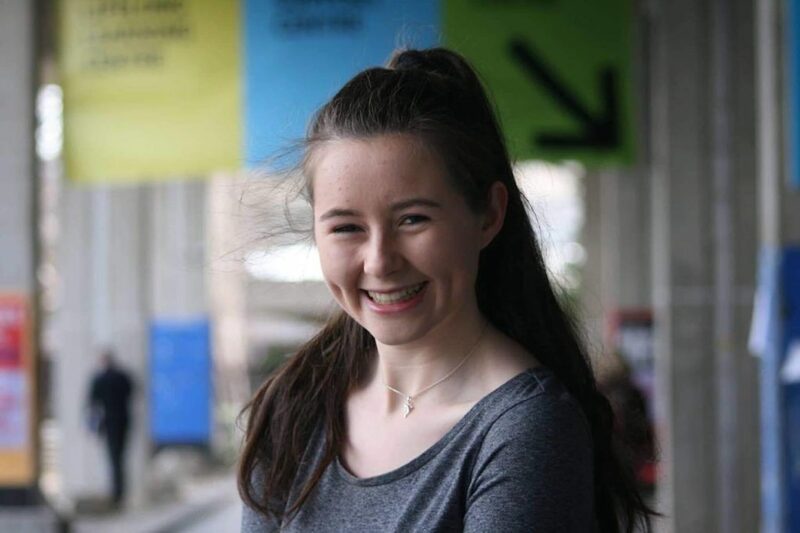 Running for the position of Science College Officer is Lucy Dornan, a 1st year student who has been involved with the Students Union even before her first day in UCD, having packed bags for the Freshers fest with the current Science College Officer, Emily Bollard. A dedicated class representative, Dornan has maintained a high level of attendance at Council meetings and is aiming to bring this work ethic and dedication to the role of College Officer. She is also keen to improve the practical aspect of student life for science students; from extending the trial of recycling bins to the O’Brien Centre for Science, increasing the number of seating areas and bringing back microwaves. Joshua Gorman Climax is the sole nominee for the Engineering and Architecture constituency. The most experienced of all the candidates in terms of Union involvement, he has been an active member for the last 4 years, 3 of them as class representative.He wants to improve coordination of Union activity at a class level and reverse the shift of all responsibility to already-overworked sabbatical officers through strong local organisation in his faculty. Emily Gallagher and Robyn O’Keefe are hoping to fill the two seats on offer in the Arts Humanities and Social Sciences constituency. Gallagher is a 1st year Social Science student, majoring in History and Politics. She is hoping to rely on her history of organising events/clubs – notably, she was heavily involved in Model United Nations in her secondary school. One of her more accessible ideas is the holding of ‘office hours’ every week – where students could come and discuss any issues/queries they may have, where they would otherwise be reluctant to approach the programme office. O’Keefe, also a class representative, is a 1st year student studying Social Policy and Sociology with Irish. From being involved in a number of SU events, including Seachtain na Gaeilge, student activism and RAG week, O’Keefe realised that her ambitions and goals were more in line with the role of College Officer. She is excited to engage with the newly appointed building manager in Newman and trying to unite the disparate strands of the AHSS programs in several large events, notably a ball. College Officers can have a huge impact if properly selected and scrutinised. Their portfolio of work is far more focused and thus they can influence microcosmic issues in each college far more readily than Sabbatical Officers, who have a far broader focus, and class representatives, who may not have the experience or the weight of authority as much behind them. Previous articleIs nuclear power the answer to climate change?